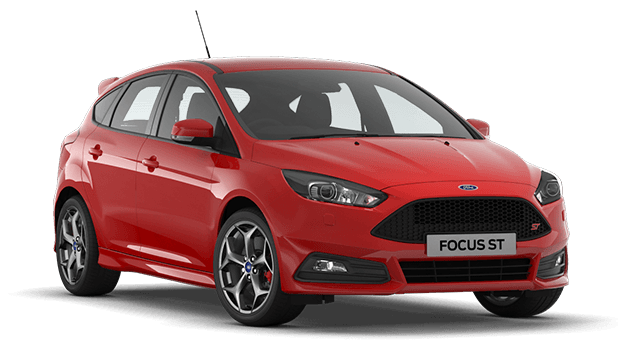 The new 2013-2014 Focus ST is a fantastic performance platform that while already very good, can still be taken to the next level. 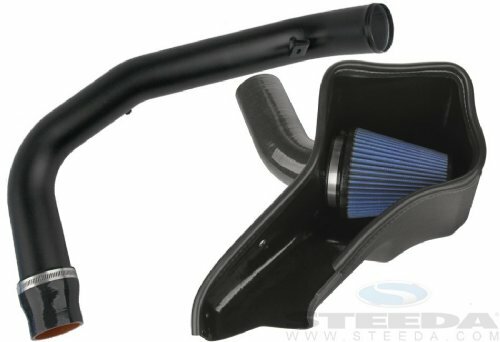 Take the intake system of your Focus ST to the next level with Steeda's in house designed, tested, and manufactured Steeda Complete Focus ST Cold Air Intake. This Steeda Complete Focus ST Cold Air Intake for 2013-2014 Focus ST does not require any ECM tuning making it an easy direct bolt on. With peak to peak gains of 10 horsepower at the wheels, and max gains of up to 16 horsepower, these are performance gains you will definitely feel. Steeda's system incorporates a powder coated heat shield with a billet velocity stack, high flow serviceable air filter, and a silicone intake tube. Steeda's Complete Focus ST Cold Air Intake for 2013-2014 Focus ST was designed to utilize the cold air feed coming from the grille, while the airbox seals directly to the hood liner to ensure a cool, dense air charge to the engine.